West Central Kentucky gas prices rose 5 cents to $2.475 according to AAA East Central’s Fuel Gauge report. The national average is $2.620. The national average price of regular unleaded gasoline has moved higher for 19 consecutive days for a total of 23 cents per gallon, due to higher crude oil costs and a number of refinery issues. Today’s price of $2.62 per gallon represents the most expensive average price of the year. Although the national average is currently moving higher, relatively lower crude prices continue to provide consumers with significant year-over-year-savings and today’s price is $1.06 per gallon less than a year ago. 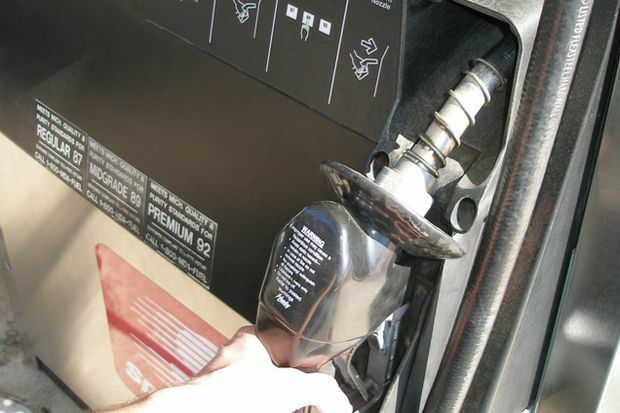 The price at the pump often increases in the spring due to seasonal maintenance, rising demand and the higher costs associated with producing more expensive summer-blend gasoline, which is required in many parts of the country to combat emissions in warmer temperatures. Unexpected refinery issues are also keeping upward pressure on the national average and consumers may see prices rise a bit higher over the next few weeks. Despite this trend, retail averages are expected to continue to post significant year-over-year discounts, and barring any major supply disruptions, the national average is expected to remain below $3 per gallon throughout 2015. The price of crude rallied to close out the month, due to a slowdown in U.S. production, a weakening dollar and growing instability in the Middle East. U.S. oil supplies remain at record highs, but the growth in production has reportedly slowed in recent weeks, which could indicate a new balance in supply and demand. While West Texas Intermediate is at nearly a four month high, it is unclear whether oil prices will remain at this level. U.S. oil-drilling rigs have reached their lowest level since October 2010, and U.S. oil storage remains at an all-time high. Domestic oil production companies are keeping a watchful eye on the price and they could ramp up or resume production in order to capitalize on any upward movement. At the close of Friday’s formal trading on the NYMEX, WTI closed down 50 cents and settled at $59.15 per barrel. AAA East Central is a not-for-profit association with 83 local offices in Kentucky, New York, Ohio, Pennsylvania and West Virginia serving 2.7 million members.